Yesterday brought the rather unexpected news that Warner Bros. is currently developing a Joker origin story movie with Martin Scorsese producing and Todd Phillips directing. One of the most interesting parts of the report, beyond the fact that Scorsese is making a Joker movie, is that it won't be Jared Leto's version of The Joker featured in the movie. That's because Warner Bros. is looking to start an entirely new DC production banner that will take place outside of the DC Extended Universe. In Deadline's initial report about the Joker movie, they noted that it is being done under a new, as of yet unnamed production banner at Warner Bros. The hope is that they can use this banner to make unique movies outside of the DCEU that will use different actors and tell stories that otherwise couldn't happen in their current cinematic universe. Here's how Deadline explains it. "This will be the first film under a new banner that has yet to be named in which WB can expand the canon of DC properties and create unique storylines with different actors playing the iconic characters." Depending on how this shakes out, this could either be a brilliant move, or it could lead to some serious oversaturation with DC comic book movies. In the report, the Joker origin movie is described as a "gritty and grounded hard-boiled crime film set in early-'80s Gotham City," and that this version of The Joker won't be related to "any other iteration." Within the confines of a cinematic universe, something like that could never happen. 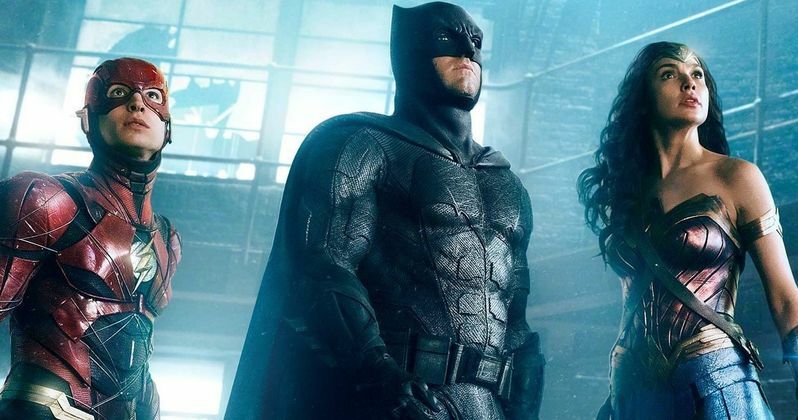 Under this new production banner, Warner Bros. could do just about anything with the understanding that it wouldn't affect any of the big picture stuff. As such, it is said in this report that Leto is still expected to be in Suicide Squad 2 and Gotham City Sirens. This isn't the first we've heard of a possible project taking place outside of the DCEU. It was recently revealed that Kong: Skull Island director Jordan Vogt-Roberts had pitched a Superman: Red Son movie at one point. Under this new banner, something like that would actually be possible. There could also be adaptations of other very popular DC Comics storylines that couldn't happen in the current universe, like Gotham by Gaslight or Kingdom Come. It certainly does open up a lot of possibilities. As of right now, there is no word on what this production banner is going to be called or how many of these movies Warner Bros. is planning on producing. They may want to test the waters with this Joker Origin Movie first and see how things go. The script is currently being written by Todd Phillips and Scott Silver (8 Mile), but there is no timetable for release. As much as cinematic universes are great, having to make movies fit within that continuity can be constricting. This is a pretty creative way of possibly being able to have it both ways.